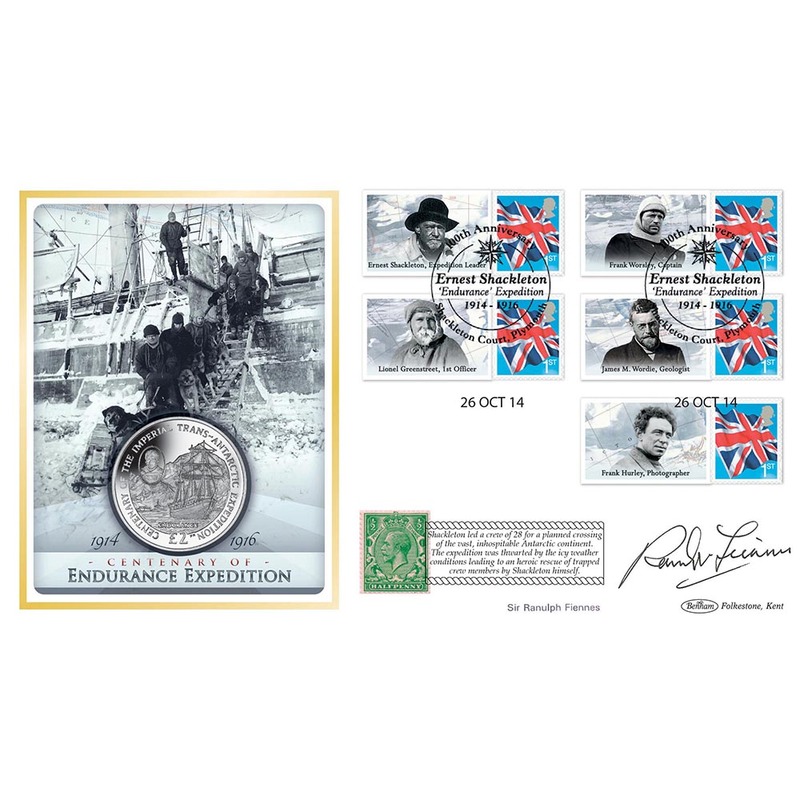 Special coin cover signed by the English adventurer, holder of several endurance records including crossing Antartica on foot. In 2003 he achieved the extraordinary feat of completing seven marathons on seven continents in seven days. 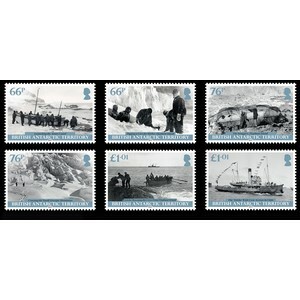 The cover encapulates a South Georgia £2 centenary coin and is cancelled with a Shackleton Court, Plymouth handstamp. 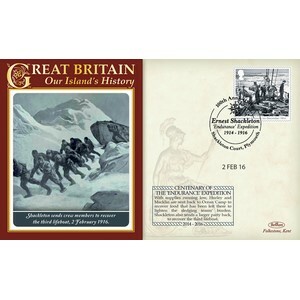 An original King George V stamp tied by cachet completes the cover.